Home #ADDICTIVE Coiny Block – A fun retro action clicker game, with a twist! Coiny Block – A fun retro action clicker game, with a twist! 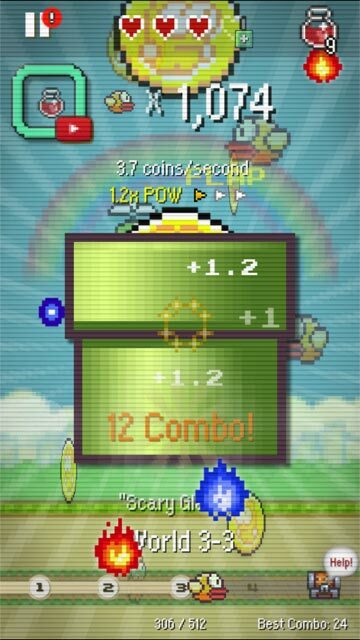 Coiny Block is an action clicker game with retro style graphics. 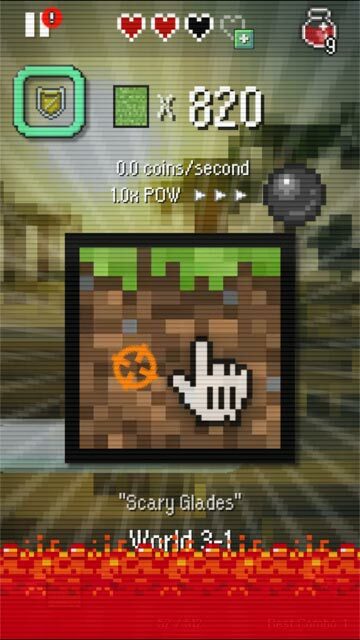 You tap on a block at the center of your screen in order to collect coins, unlock new blocks, and avoid enemies at the same time as collecting power-ups. You are given 3 hearts per game and will lose a heart if you accidentally tap on an enemy. You can regain your hearts by picking up hearts, potions, and power-ups. In the year 1985, the evil Nega-Brain has stolen all the world’s Coins. Coiny Block is a clicker game, just with more action arcade style gameplay. You need to keep clicking the block in order to collect coins, but you also need to avoid enemies, spikes, and lava at the same time! You can unlock new blocks by completing worlds, or by purchasing via IAP from the title screen. You can also collect power-ups that can help you such as (Star, Doubler, Grow, Potions, Hearts… etc) but they might also sometimes get in your way such as the (Banana or Ink). 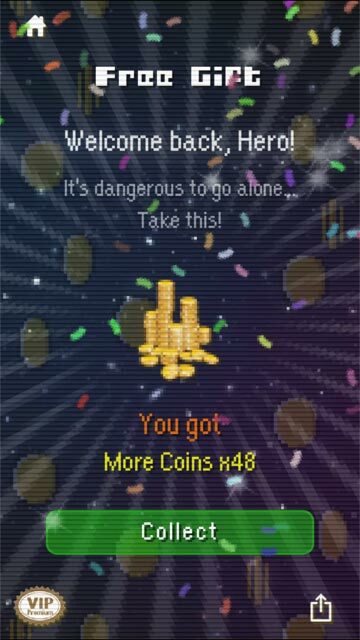 You can also collect “Power Coins” in the daily chest (or hidden in the game), that let you upgrade your click multiplier. 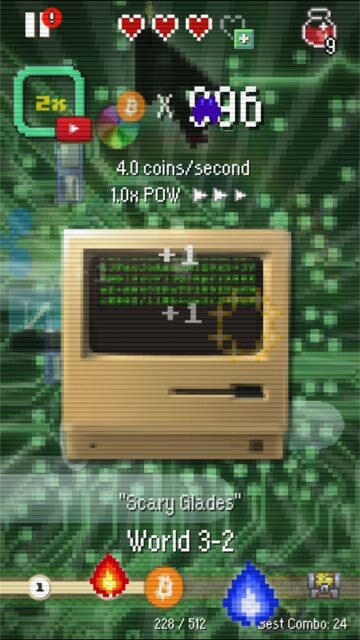 The more “Power Coins” you collect, the faster you can complete the next world. There are also multiple secrets in the game, such as hidden “Power Coins”, a secret “Cheat” screen, multiple endings, and an ending game “Minus World”. • iPhone X and iPad support! • Challenging enemies, spikes, and lava! • Unlock the VIP mode (IAP) to get a coin-doubler and disable ads! Skyriser Media is an independent development studio based in Montreal, Canada, founded in 2004. We are dedicated to creating iOS games and applications. The one-man team includes iOS game/app developer Chris Comeau (with previous game experience at Ubisoft and EA). Chris Comeau is a full-time iOS application developer by day (just to pay the bills). But by night/weekends, he’s a solo indie iOS game/app developer. 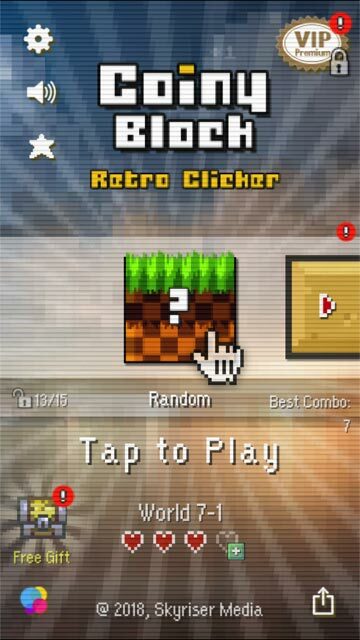 After 3 years of part-time work, he has finally released his first official solo game for iOS, Coiny Block, a retro action clicker game! This article was Published by Edamame Reviews, Written by Skyriser Media.